Kinguin: Get 5 free KRS tokens from the marketplace for gamers! Do we have some gamers reading CoinAirdrops.com? Because this could be a project of interest for you! Maybe you’ve already been using this marketplace for digital games, items, and related services. Because it’s been online since 2013. And it allows users to trade games, own in-game assets, and micro-transact these assets. So this is a real company, not a startup, which generated 92m USD in turnover in 2017. And now they’ve decided to use blockchain technology to remove the limitations which defined yesterday’s marketplace. So they’ll soon launch their reformatted platform, on a completely decentralized model. But what’s the benefit for gamers? Well, they’ll be able to enjoy a global, transparent, autonomous and free marketplace! Because blockchain offers a new concept of ownership for game-related digital assets. The same as with tokens actually. So this will allow them a better control on their in-game assets. And they’ll be able to sell them to other players, to make money out of these digital assets! While I find it very interesting, I won’t spend much more time explaining their project. So take a look at their white paper for a full understanding. Kinguin has selected ethereum Smart Contract and created an ERC-23 standard token: KROWNS (ticker KRS). The Kinguin token is the native and exclusive crypto-currency for their marketplace. And they’ve designed it for trade and value exchange in the gaming industry. All the transactions on the platform require KRS tokens. And users will need to hold KRS tokens to buy digital games, items, and services. But Kinguin is planning a brand new economy by players and for players, where they’ll be able to sell their own digital assets and services. Therefore, the marketplace will offer premium marketing spots and targeted sales campaigns. And to purchase these, you’ll need KROWNS. Of course, these KROWNS will be tradable against fiat currencies. Kinguin also created a sub-token: GOLDKROWNS. Gold is a unique state of KROWNS. And it’s exclusively giftable. Basically, it’s a token to support the content creators and streamers. Once a content creator is accredited, the community can send him GOLDKROWNS. And he or she will be able to transmute them into KRS. How to get the free KRS tokens? Good news! It’s easy as pie! So there’s no excuse not to claim your KRS tokens. Because I know some airdrops take too much time to complete. And others require too much information. But not Kinguin airdrop. However, it’s limited to the first 30,000 participants, so hurry up! First of all, you need to click here. And you’ll reach the registration page, where you need to fill in: a valid email address, your Telegram username (with the @). And an ERC20/23 compatible wallet address. Therefore, you need a Telegram account and an ethereum wallet. Then, click on Register. Now you need to follow their Telegram channel. And stay in until you receive the KROWNS tokens, at the end of April. Because if you leave the group too early, you won’t get the 5 free KRS tokens. And, that’s it, you’re done! See, I told you it was super easy. If you want more free KRS tokens, you can participate in their referral program. You’ll find your personal referral link after the registration. And if you forgot to copy it, you can find it again here. Just fill in your Telegram username (with the @) and click on Get My Links. Share it with as many people as possible. And you’ll get 5 free KRS tokens for each friend who registers. 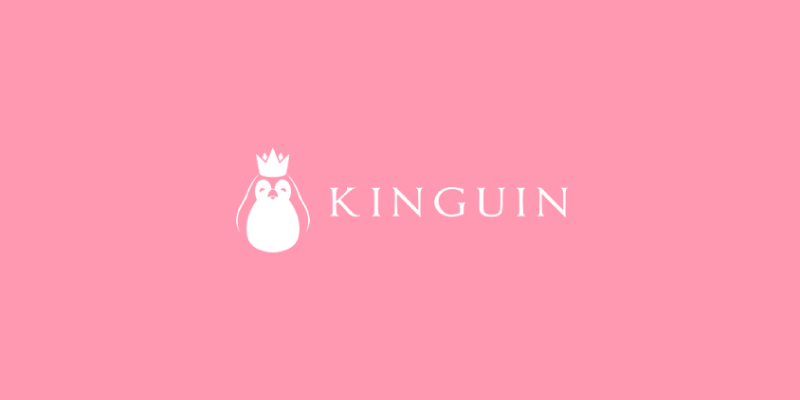 Kinguin is a marketplace for players, which has been around for a while. The team is now reformatting the platform to include blockchain technology and disrupt the gaming industry. And they're giving away free KRS tokens. Be part of the hype and claim your tokens now!